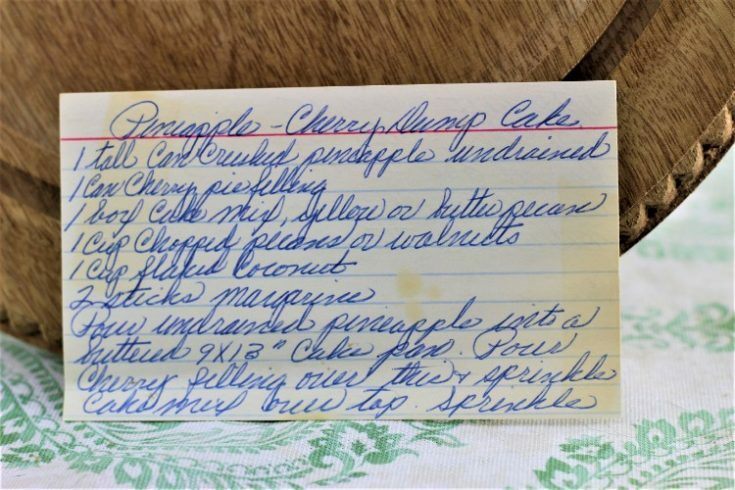 Front of the recipe card for Pineapple Cherry Dump Cake. 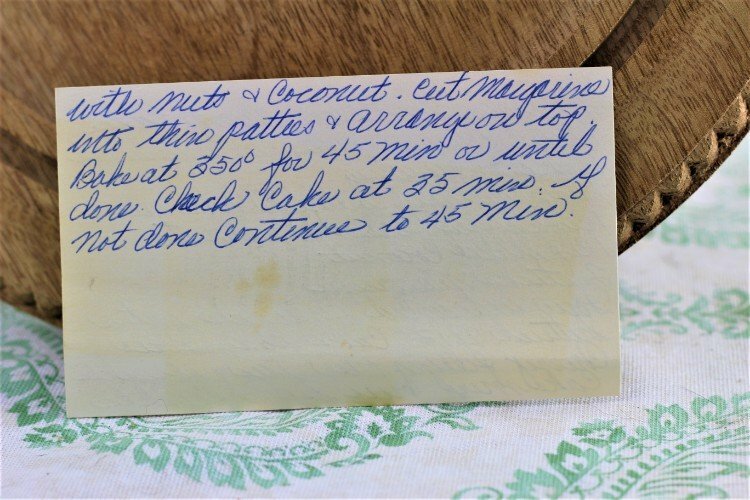 Back of the recipe card for Pineapple Cherry Dump Cake. 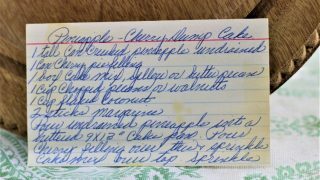 There are lots of fun recipes to read in the box this recipe for Pineapple Cherry Dump Cake was with. Click here to view all of Vintage Recipe Project 98 recipes. Use the links below to view other recipes similar to this Pineapple Cherry Dump Cake recipe. If you make this Pineapple Cherry Dump Cake recipe, please share your photos and comments below! Pour undrained pineapple into a buttered 9x13" cake pan. Pour cherry filling over this & sprinkle cake mix over top. Sprinkle with nuts & coconut. Cut margarine into thin patties & arrange on top. Bake at 350° for 45 min or until done. Check cake at 35 minutes. If not done continue to 45 min.